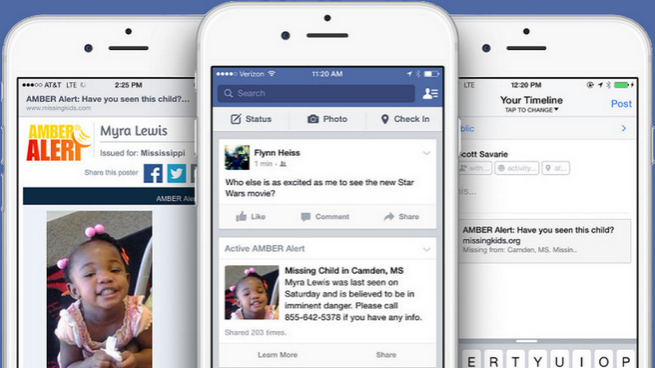 For many years people have been using the power of Facebook to find lost or missing children. Today, Mark Zuckerberg announced that Facebook is rolling out a new product – Missing Child Alerts that will specifically help families find lost/missing or abducted children. Mark went on to comment: “We’re launching Amber Alerts to use the power of our community to help find missing children. Over the past few years, we’ve seen people using Facebook on their own to help find kids who have been abducted. This inspired a team of us here to build a better tool so you can use Facebook to help reunite families. Social Media for Good -Facebook is doing their part.